A FitBark 2 Pawtection Plan that covers acts of dog! Buy within 60 days of your new FitBark 2 purchase at fitbark.com or at any authorized reseller to extend Product Warranty to two years and get full coverage against the unexpected! Coverage & Protection Length: FitBarkCare+ provides repair or replacement coverage, both parts and labor, for your FitBark 2 device, extending Product Warranty coverage to two years from your FitBark 2 purchase date, and adding up to two incidents of accidental damage (e.g. dog bites). 60-Day Purchase Window: Get FitBarkCare+ when you purchase your new FitBark 2 at fitbark.com, or buy it within 60 days of your FitBark 2 purchase at fitbark.com or from any authorized reseller. Deductible Fee: All claims (accidental damage claims as well as non-accidental damage claims) are subject to a $14.95 deductible. How to Use FitBarkCare+: Reach out to us at any time via the support chat in our mobile or web apps. We'll need your FitBark 2 and FitBarkCare+ proof or purchase and the name of the dog whose FitBark 2 needs assistance. 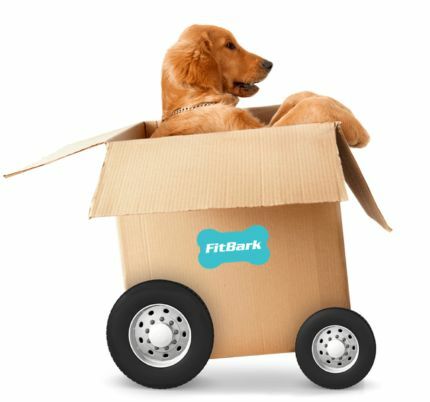 Purchasing for a Friend: Simply forward the FitBarkCare+ order confirmation email from fitbark.com to your friend. Exclusions: FitBark 2 covers, collar attachments (zip ties) and charging cables are excluded from coverage. Up to 5 Pets Covered: One FitBarkCare+ plan covers up to five FitBark 2 devices worn by pets who live at the same physical address, as long as all devices were purchased within the same 60-day window. While the Product Warranty is extended to two years for all pets, accidental damage coverage is capped at two incidents. For maximum accidental damage protection, purchase one FitBarkCare+ plan for each pet. Shipping (United States): While you are required to ship the defective unit to us, shipping is free both ways (typical transit time is 2-4 days). Shipping (All Other Countries): You are required to ship the defective unit to us. Shipping is free from us to you (typical transit time is 2-4 days to the U.K. and Australia, and 10-30 days to any other country, with limited tracking available). You are responsible for shipping charges to our warehouses. Cancel Anytime: Receive a full refund within 60 days of your FitBarkCare+ purchase, or a pro-rated refund based on the time remaining on your protection plan (starting from your FitBark 2 purchase date).